Items are to be "For Sale". They should be priced no more than $100. ​These items will hang through December. Tuesday, December 11th, 11:30 a.m. Gift exchange for those interested. merit awards were given to Sally Digman, Ken Waddell, Denny Nurkiewicz and Marilynn Walker. Honorable mentions were awarded to Fred Stansberry, Cindy O’Brien and Jeff Rushford. 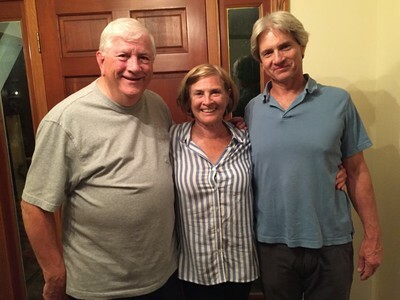 ​The exhibit was judged by Beth Keener- Flannery. ​**The 60th annual "Exhibit 60" show is open and hanging. 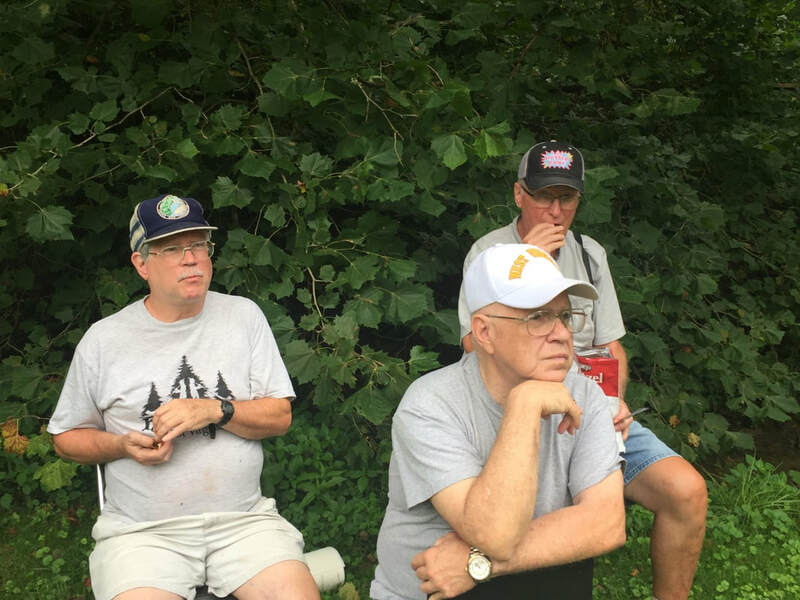 retired professor from Fairmont State University. 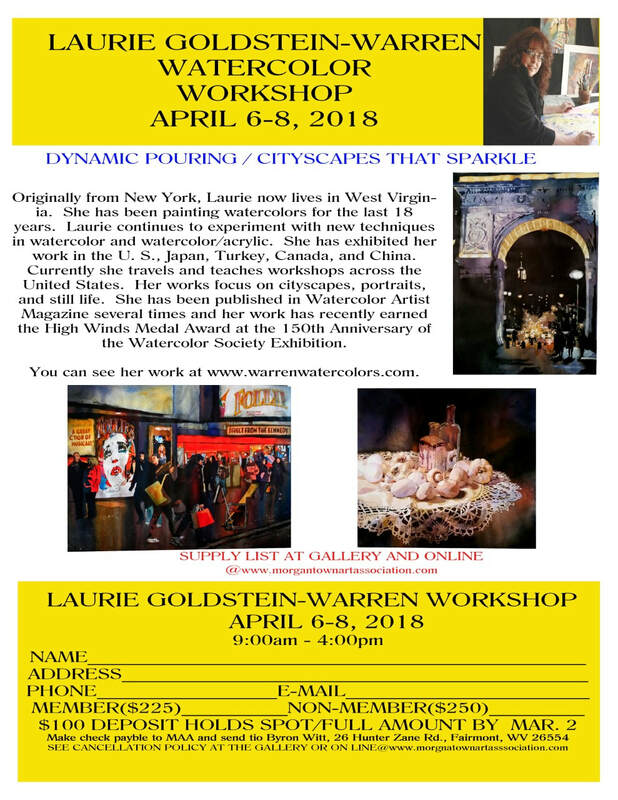 The Service League of Morgantown has invited the Morgantown Arts Association to exhibit art at the Old Stone House on Chestnut Street downtown during the Spring Arts Walk sponsored by MainStreet Morgantown. The Walk is on Friday, May 18 from 6 PM to 9 PM. If you would like to participate, please bring your art to the Gallery no later than 3 PM on Friday, May 18, which is the day of the event. Art must be CLEARLY MARKED with: your name, title and medium of the piece, price if it is for sale (NFS if it is not), and your phone number. You are also responsible for picking up your piece THAT NIGHT at the Old Stone House by 9 pm. 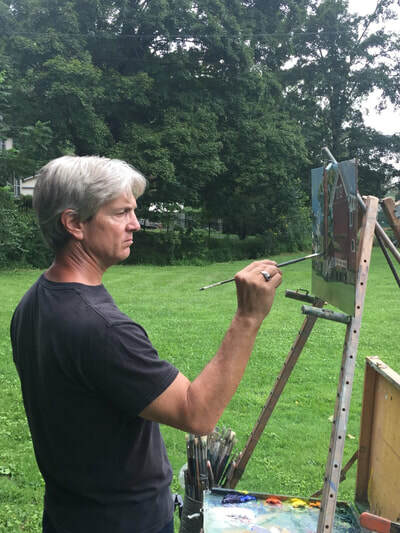 Remember that artists are expected to spend some time at the Old Stone House to talk with patrons about their art and the Association. 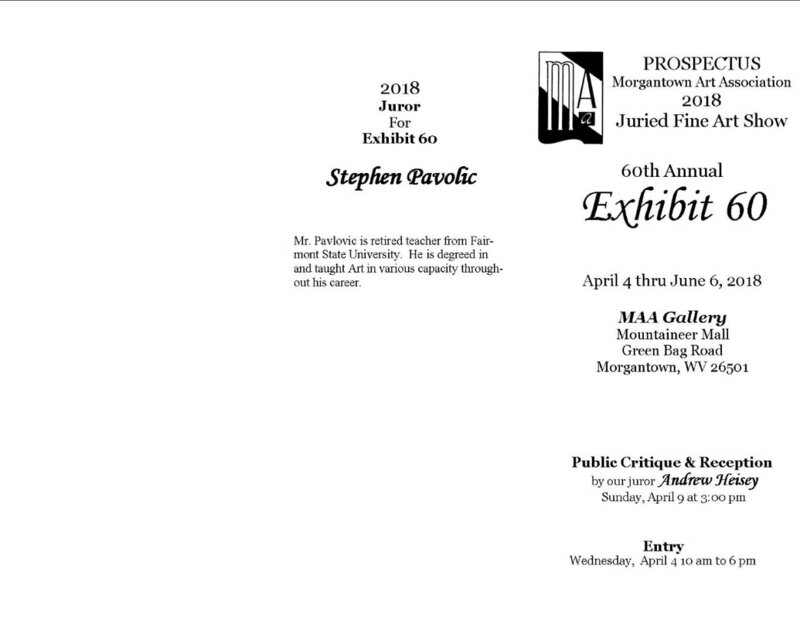 The Morgantown Art Association will be hosting the 60th annual "EXHIBIT 60 SHOW". 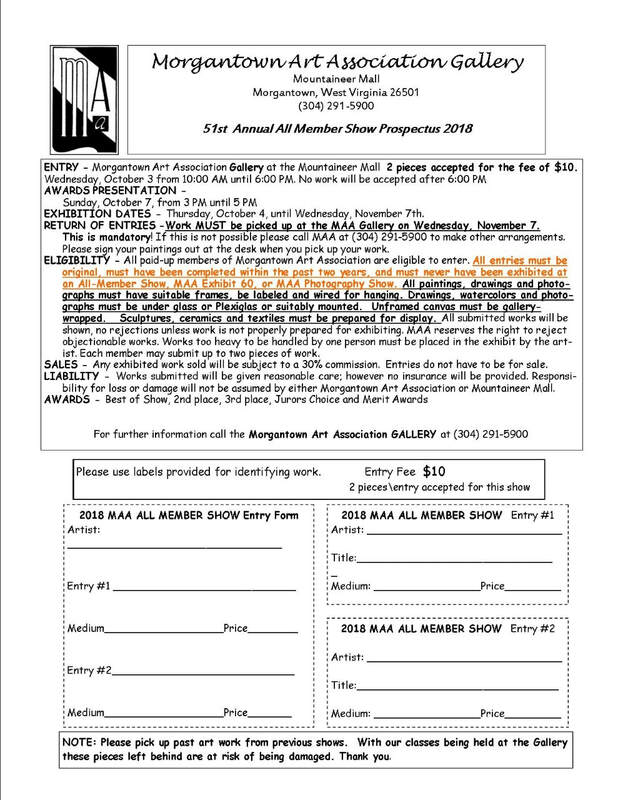 Exhibit 60 is the oldest consecutively running art competition in the area. 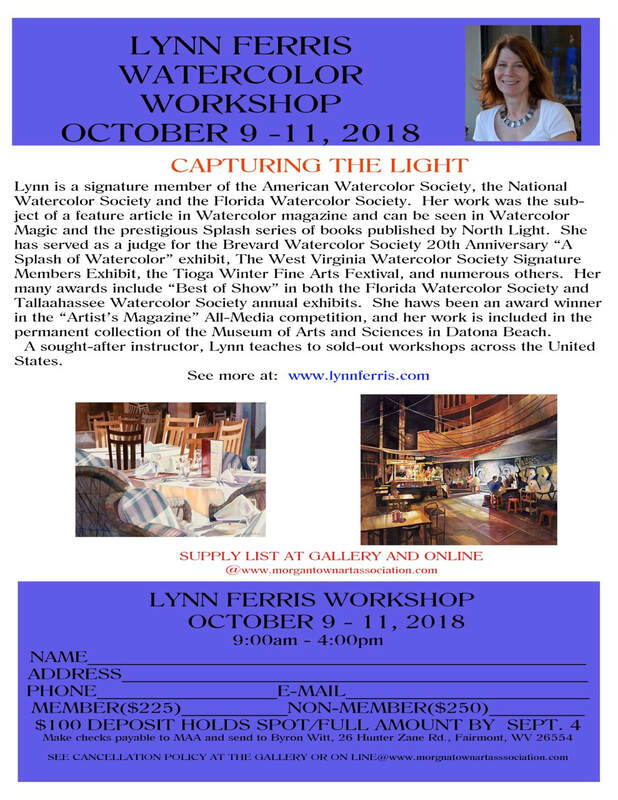 Every year artist 18 years and older living within a radius of 60 miles of Morgantown are invited to enter their works of art to be juried and judged to vie for nearly one thousand dollars in prize money. This is the only show in which non-members of MAA can participate at our gallery. We accept all types of appropriate art, canvas and framed art, pottery, fine original fabric art, photography, wood carvings, original jewelry pieces, and etc. 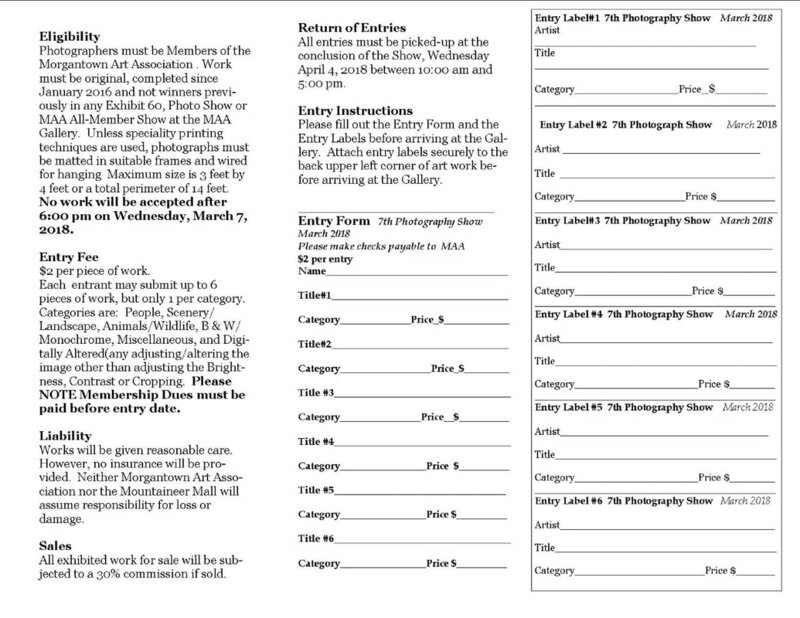 Applications for entering the show are on our website at morgantown art association.com or at the gallery. Paperwork must be filled out when you bring in your art. 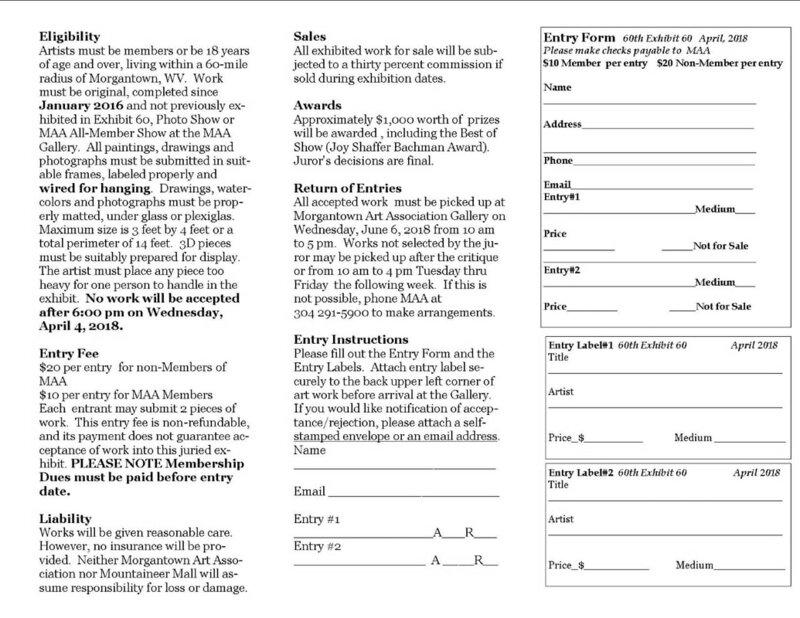 There is a limit of two entries per person and the work must be original and done within the last two years by the individual entering them in the show. No prints or reproductions will be accepted. 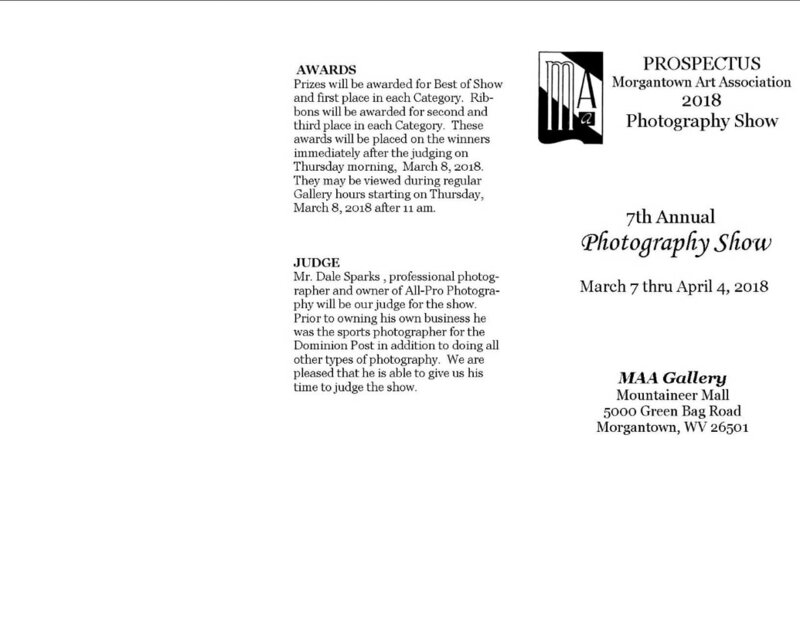 Take in date for the show is April 4th, 10-6 at the MAA Gallery in the Mountaineer Mall on Greenbag Road. Sunday, April 15th from 3:00 -5:00pm. Grand Re-opening of our gallery after our remodel. These acrylic colors are closest to my limited watercolor palette. Adjustable nozzle Spray Bottle - Make sure you can adjust spray to get big drops as well as a fine mist. Butcher Tray Palette (I use an 11” X 15”) We will be using BIG brushes. Bring in a smaller palette or plastic plate for acrylic paint so you do not pollute your watercolor palette. At least five old measuring cups or similar size pouring containers. One with lids are ideal, like old moisturizer jars. Backing Board/Gator Board (large enough for a full sheet) We will be painting full sheets 19.75 X 22”. Tape rolls or something to raise your board at least 2”. Masking Fluid (I use Pebeo drawing gum) It can be dried with a hair dryer and lifts easily from your paper. Watercolor Paper (I always use Fabriano Artistico bright white 140 lb.) It has the greatest “lifting” capability than any other paper I’ve tried. If you don’t have it, bring a good quality 140 lb. watercolor paper. We will use 2-3 sheets. Transfer paper This year, I am asking Byron to email you your sketch early so that you can transfer it onto your watercolor paper at home. 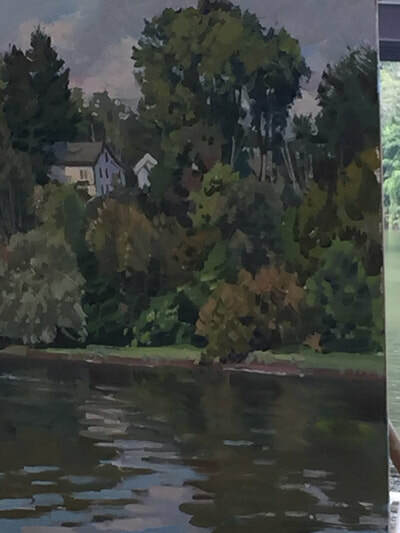 Remember to leave a 1” margin around the edges, so that you can handle your paper during the pours without putting marks on your painting with your fingers. 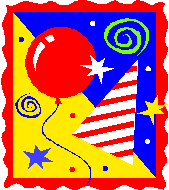 You can use the transfer paper as show below, or a light box. Using a light box save the added step of having to go over your lines on your wc paper with a Hard pencil. If you prefer, you can bring your own project to work on, such as a portrait, still life or abstract. Make sure you leave enough “background”/ negative space for this pouring method. Bring any photos you may want to work on in the future if you would like to discuss composition ideas for that painting. 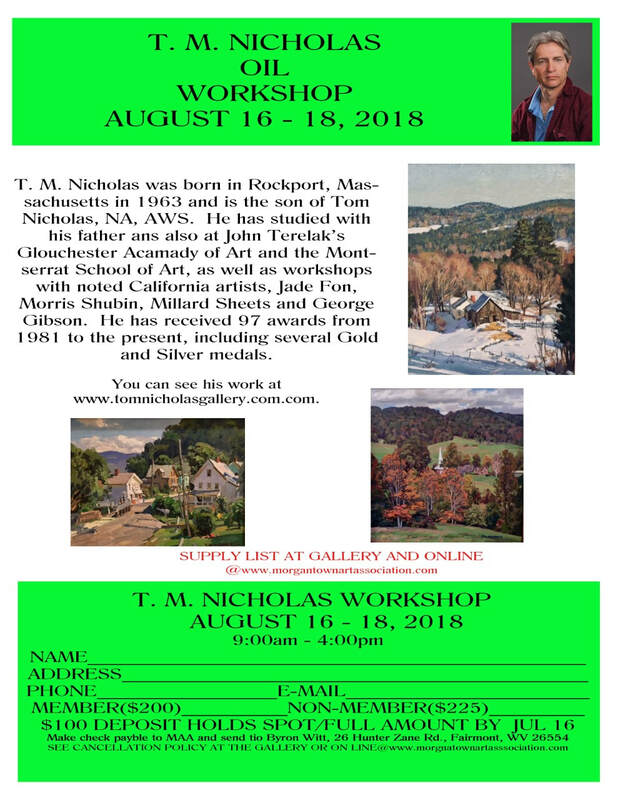 The last day of class, bring in a painting you’ve worked on to discuss how this approach might improve it or just if you would like to receive some input on your work. 10:00 to 12:00 with a covered dish lunch. The speaker will be Carmello Tabone, an art therapist who will speak on using art to diagnose and treat various illnesses and conditions. He will focus on art and Alzheimers and the treatment of certain mental disorders with art therapy. He co-authored a book on the subject. cost is $30 per participant. All materials included. Make artwork like Rembrandt! Even if drawing is challenging for you, this printmaking class guarantees success. Drypoint printmaking uses plexiglass to imprint images. Because Plexiglass is clear, artwork can be traced from sketchbooks, photographs, or other images. Using the dry point printmaking method, we will scratch into plexiglass to create an image. To make a print, the scratched plate is inked all over, then wiped off the surface leaving only ink in the scratched lines. The plate is then put through a press together with a sheet of paper, making a print. This process can be repeated many times to make several prints. Drypoint offers the ability to explore line quality and detail in drawing. You will leave with prints perfect for framing. Make a personal gift for someone or create a masterpiece for your own walls. Or sell your drypoint print to a museum for big bucks! Linocut is a printmaking technique, a variant of woodcut in which a sheet of linoleum is used for a relief printing surface. A design is cut into the linoleum surface with a sharp knife or V-shaped chisel. The linoleum sheet is inked with a roller (called a brayer), and then impressed onto paper. The actual printing can be done by hand or with a printing press. FROM 10:00 - NOON FOLLOWED BY A COVERED DISH LUNCH. Allow Nature to be your MUSE! Gelatin printing uses a pan of Knox gelatin which is inked up with water-based ink. This spontaneous printing process creates unique prints using leaves and other elements of nature. Each participant will be able to create several unique works of art without having to draw.